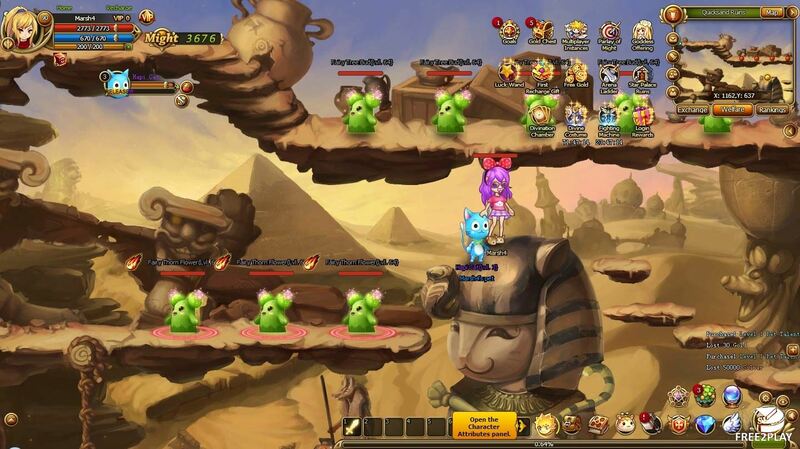 Lunaria Story is a side-scrolling mmo rpg with wonderful graphics and a fun gameplay. It mixes common elements from this type of games while adding new mechanics into it. Players can quest, kill monsters, get pets, and fight alongside them. Swordsmen are made to hack and slice in close combat. Hunters use ranged weaponry like guns and bombs. Elementalists conjure magic, bringing devastating barrages from near or afar. The game has a fairly deep character customization system that even allows you to set features of its face as well as picking what you want your char to wear. There are types of gear: weapons (attack boost), top (PDEF boost), helmets (HP boost), gloves (critical strike enhancement), pants (MDEF boost), necklaces (rage boost), shoes (dodge boost), bracelets (accuracy boost), rings (critical damage boost), and badges (shield boost). The pet system is complex, they boost characters but they need to be fed to keep them happy. 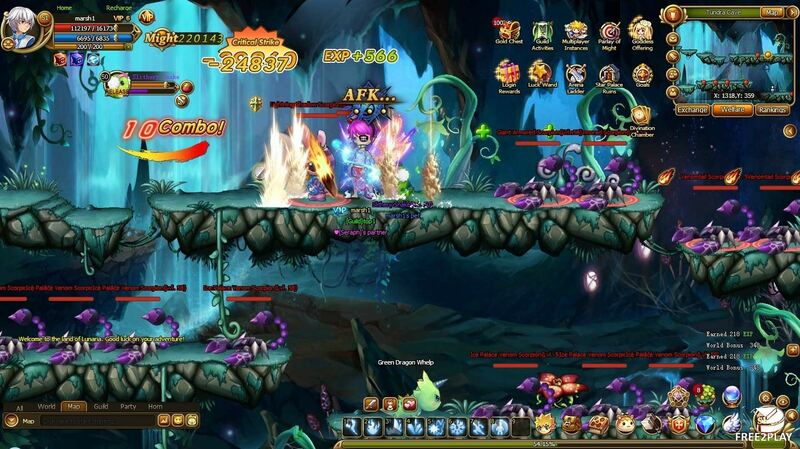 Players can possess several pets, each with their own strengths and weaknesses. 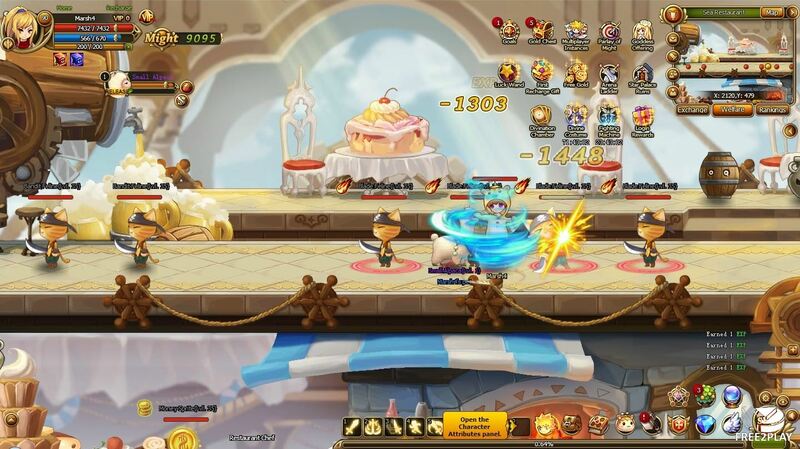 Pets can learn skills which provide further boosts during battle. 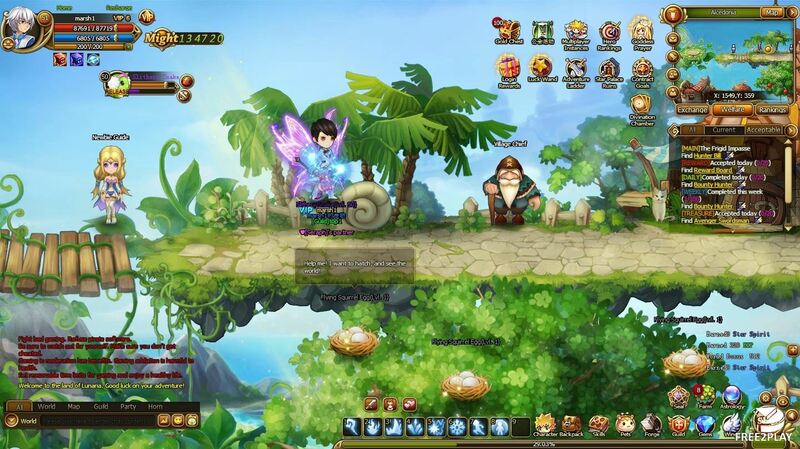 Players can unlock more slots to put skills in by increasing the pet's potential. If all that wasn't enough, pets can also be merged, being its resultant stats the best from each creature. Besides classic daily quests, events, and dungeons, the game also has a pretty unique type of content, Romantic Interlude is an instance that requires a male and a female character. Married couples will indeed get special buffs when entering and gain twice the usual reward. In this event the contenders will try to build up a win streak. The reward increase with the killing streak, there is no respawn so they lose, the bundles of loot that win streak brought are over. In this mode players are split into 3 teams, they earn points by defeating players of the other 2 teams. 3v3 fights that brings weekly bonuses, like points to purchase items in the store. Up to 16 guilds could join this competition to destroy other guilds' flag and kill everything that moves.